As far as “end of the world” books go, this one is a new take on the apocalypse genre. From my knowledge of space weather and its effects on our world, I can say that aspects of this book are entirely plausible. That being said, I have minimal knowledge of the quantum vacuum, so I have merely chalked the plot points surrounding it to magical hand-waving to get the story to go where it needs to. While I would have enjoyed an apocalyptic story that didn’t blame humans for their own destruction, The Null Prophecy only met me half-way. One aspect of this book that I found refreshing was the representation of intellectual Christians. So often, the portrayal of Christians as backward, scientifically-illiterate nut jobs who disregard anything science has to say by fiercely holding onto their Biblical beliefs is far from the truth. While there is such a character in this book, the main character provides a solid counterargument to a scientific society who has made their ego their god. Parts of science need just as much faith as a belief in God, but whenever mentioning the “f-word,” scientists scoff and immediately close their minds to any other interpretation of the world they live in. I applaud the author for creating a realistic character who has her apologetics well thought out to show that you can be intellectual and scientifically learned and still be a Christian. 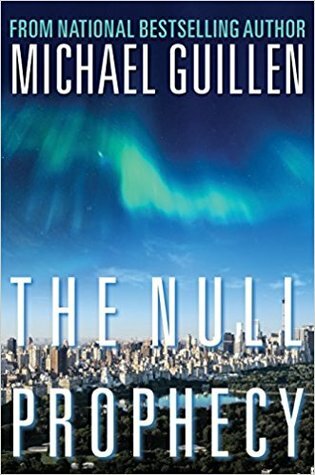 A semi-realistic doomsday scenario with a non-stereotypical Christian protagonist, I give The Null Prophecy 4.0 stars out of 5.